When jointing natural stones (such as granite, sandstone, quartz, gneiss or porphyry) and marble, a visually flawless result is always important. This means that an optimal silicone sealant has to meet standards that are just as high in order to ensure the result does not just look beautiful, but also stays beautiful. OTTO offers the high-quality natural stone silicones needed for this purpose; these contain fungicide, have excellent weather, age and UV-resistant properties, high abrasion resistance and high tensile strength as well as being low in odour and easy to use. We can also provide you with the necessary accessories, information materials and tips for achieving for professional finishes (advice booklets, videos). 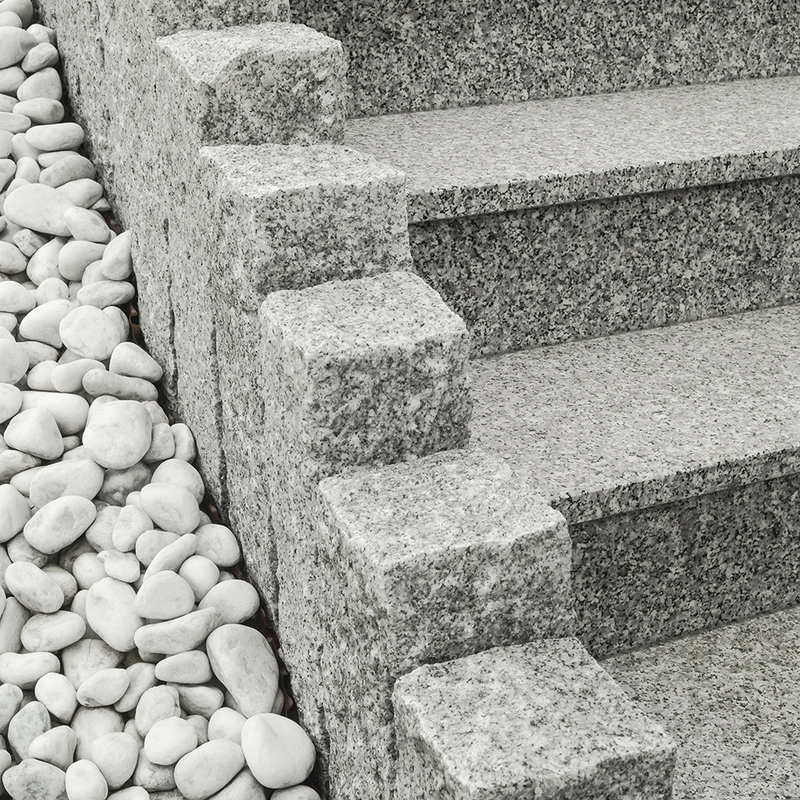 With no risk of plasticiser migration, OTTO natural stone silicones also meet all prerequisites to ensure that your work will still look perfect even after several years have passed. Kitchen worktops made from natural stone (e.g. granite) or marble are fully on trend, visually appealing and high-quality. To ensure a perfect result, OTTO also offers the optimal adhesives and sealants for bonding the natural stone worktops to metal or insulation elements and sealing the joints. Sealants by OTTO are used in almost all seals on moving joints and expansion joints in facades and floors made from natural stone or marble. Thanks to special ingredients (e.g. silver ions in OTTOSEAL® S 140), sealants by OTTO are also excellent for use in swimming pools and for underwater applications and impress with their high level of mould resistance. A heard-wearing solution can be created by bonding steps made from natural stone or marble to substructures made from e.g. concrete or metal. Contractors, planners and architects alike place importance not only on a technically, but also a visually flawless result. To play its part, OTTO offers its natural stone silicones in a range of different shades that match the stone surface, both in matt colours or textured versions.